Last year, we went through incredible growth and hit some amazing milestones. As we wrapped up the year, I took to Twitter to note down some of my most important learnings from 2017 about how to build and scale a company. Without further ado, here they are! In 2017, our partners used our platform to power better decisions and change millions of lives. See our Year in Review here. Surround yourself with people smarter than you. I only really understood the meaning of this in 2017. Reach out to people whom you respect and have a list of questions for them. It will give you perspectives you never dreamt of. Don’t undervalue the time you need to think, learn and grow — it is probably the most important time you’ll spend. As a founder or leader, it is easy to book your day in meetings and feel “busy”. Frankly, if someone else can handle that important meeting, let them! You don’t need to have a “brand” of leadership. Lead the way someone wants to be led, not the way you want to lead. Your only role as a leader is to bring out the best in other people. The quickest hack I found around leadership was to set “personality” expectations right in the beginning — what you like and what the other person likes. This solves for so many misunderstandings! Communicate more. And communicate anything negative or tricky in person. Emails are a terrible medium to convey emotion. And frankly, relationships go sour because of emotion, not logic! In a negotiation, it’s best to explain your point of view, your principles and your “why”. Be honest, expect that the person on the other side of the table wants the best for you, and it will work out best for everyone. Moving fast and breaking things can be overrated. It works when you are innovating or building something new. Growing a business unit to scale often takes doing the same thing repeatedly and sustainably. As you scale, your team needs to start looking at innovation differently. An innovation building a small efficiency to enable scale might have more impact than an exciting new feature. For the mindset to shift, you need to personally change what you celebrate as innovation! Holacracy, while it sounds cool, doesn’t work in practice — mainly because, for decentralised decision making to work, every decision maker needs equal context. Unfortunately, it is impossible for everyone in a company to have equal context about history, future, risks, and learnings. 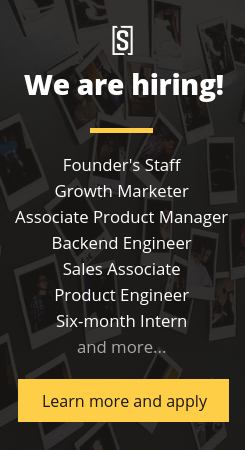 Hire someone awesome to manage your operations — office, travel, etc. If you can, also hire someone who can handle knowledge management, culture, team sessions, etc. While these positions get neglected, they will probably have the most impact on your team. Don’t hire “experienced” people enamoured by their CV/ past roles. Remember, if they have had so much “experience”, they should also be so much better than someone fresh out of college. Judge them accordingly. Create an on-boarding process and checklist for your new hires. Keep it short so they can read up on what they definitely need to know and get them on the job as quickly as possible. People settle in fastest when they feel like they are contributing. Don’t be afraid to adopt “formal” HR practices — 360 feedback, pulse surveys, etc. However, make sure you communicate the “why” behind a new practice or policy, and the problem you’re looking to solve. If someone thinks it is a bad idea, be open to other solutions they offer. Taking time completely off work probably helps your productivity more than working 24/7. In a startup, you can’t do this in your early years. But when you can, treat yourself to it. You being fit (mentally and physically) is most important! Here’s to an amazing 2018 filled with more learning and fun! Happy New Year, and welcome 2018! We are a team of engineers, data scientists and entrepreneurs united by one common belief — that data intelligence can play a role in solving the world’s most critical challenges. Come, build with us! Learn more about our open positions here. This is the way to true learning-“Individual Experience Sharing”, which scales the learning process multiple times. It works only when their is ‘One Team’, which SocialCops has. Great to learn from you mam. Thank you. Just happen to read about “social cops” through a friends facebook post. In an excellent way you build your values.